Dan Mangan’s fifth album finds his life in transition from globetrotting musician to mid-30s parent. The confluence of emotional changes that marked this life change provides rich ground for an introspective singer-songwriter, and Mangan confronts both the loss of his youthful degrees of freedom and the satisfactions of adult responsibilities. On a meta level, his six-year hiatus from touring also finds him re-entering a music industry that’s drastically different than the one from which he laid out. In addition to his album, he’s developed a behind-the-songwriting video series and accompanying playlist for Spotify, as well as a live variety show for Instagram – all the accoutrements of a modern music artist. The set opens with Mangan contemplating the emotional wreckage and resulting rebirth born of questioning and destabilizing one’s beliefs. He sees life’s lynch pins as containing both risk and opportunity, a mechanism whose tension stores energy. He ponders the dichotomy of his innocent infant son being born into a world whose balance was swung by the 2016 presidential election, and he seeks to insulate himself from the unknown that then lay ahead. The lies and half-truths of the election cycle inform “Troubled Mind,” as Mangan seeks to balance the urge to stay informed with the reflex to avoid the deceit of the political class. The song’s anxious rhythm suggests an intellectual timebomb threatening to explode from the rising cognitive dissonance. Such philosophical quandaries are balanced with the seemingly mundane responsibilities of parenthood. Having given up the adventure of a musician’s world travel, Mangan surprises himself with the satisfaction of staying put and exploring the complexities of growing up and staying put. On “Cold in the Summer” he’s pulled into middle-age even as his youth tries to hang on. He’s trading the footloose freedoms of youth for the repetitions of adult life, but he’s unsure whether to lament the loss of the former for the gain of the latter. The solemn sounding “Fool For Waiting” is as close as Mangan gets to a love song, though even here he’s inside his own head, analyzing the experience of his feelings. Chris Bell’s untimely death in 1978 not only robbed the world of his musical greatness, but also froze his artistic assets. A full appraisal of his art was retarded by the paucity of available recorded material that lingered for many years after his passing. Big Star’s debut, #1 Record, despite the contemporaneous critical praise and retrospective glory lavished upon it, had been poorly distributed at the time of its 1972 release. Reissued in 1978, apparently to Bell’s delight, it’s imported manufacture delegated it to specialty shops. That same year, Bell’s solo single, “I Am the Cosmos,” was released on Chris Stamey’s Car label, but it would be fourteen more years until Ryko’s 1992 full-length I Am the Cosmos really started to flesh out the Chris Bell story. By then, Big Star had become an iconic reference among 1980s indie pop bands, and with Alex Chilton’s new Big Star formation in 1993, interest in Bell continued to grow. The next cache of Bell material to turn up were pre-Big Star recordings by The Jynx, Rock City, Christmas Future and Icewater on collections dedicated to Big Star and the Ardent label. In 2009, Rhino Handmade provided further insight into Bell’s post-Big Star period with an expanded edition of I Am the Cosmos. Omnivore now pulls this all together, expanding upon what’s been excavated before with three new releases. First is the single CD Looking Forward: The Roots of Big Star, which adds six previously unissued tracks to the existing corpus of pre-Big Star material. Second is a deluxe reissue of I Am the Cosmos that adds eight tracks to the 2009 Rhino Handmade reissue. Third is an omnibus vinyl-only box set, The Complete Chris Bell, which collects the material from the first two sets, and adds an excerpt from Rich Tupica’s forthcoming biography, There Was a Light: The Cosmic History of Big Star Founder Chris Bell. What’s immediately striking about the material on Looking Forward: The Roots of Big Star is how good it sounds. Ardent studio owner John Fry had the presence of mind to train a handful of musicians on recording technique, and let them practice in the studio’s down time. These sessions were free from the pressure of a studio clock or a label’s budget, and they allowed the musicians to explore their craft as players, engineers and producers. The six previously unreleased tracks include recordings by The Wallabys (“The Reason”) and Icewater (“A Chance to Live”) and four backing tracks. Big Star fans drawn to the backing track “Oh My Soul” will find it unrelated to the Chilton song of the same name, but the chugging groove is infectious and Bell’s guitar work superb. The unfinished “Germany” has fine vocal overdubs, and the gritty guitar on the alternate of “Feeling High” is terrific. What shines through the early Ardent sessions is everyone’s unbridled enthusiasm, and for Chris Bell in particular, an optimism that had yet to be crushed under the weight of #1 Record’s commercial failure. From the earliest track, “Psychedelic Stuff,” through the British Invasion tones of the Wallabys, breakthrough compositions like “All I See is You,” and material that would be re-recorded by Big Star, everything rings with a sense of musicians chasing their muse, unencumbered by commercial considerations and with a growing sense that they could make music as meaningful and moving as their idols. Alec Palao’s liner notes include insightful interviews with John Fry, Steve Rhea, Terry Manning, Alan Palmore, Jody Stephens, Tom Eubanks, providing detail on the scene, sessions and tracks. The eight tracks added to I Am the Cosmos include alternate versions, backing tracks and mixes that provide the final clues as to the journey Bell’s songs took throughout his lifetime. As Alec Palao notes, “unless some new studio sessions come to light in the future, [this set] is essentially the last word on the work of this quixotic talent.” Omnivore relocates the Icewater and Rock City tracks Rhino added in 2009 to a more natural spot on Looking Forward, and adds several mixes from the Big Star documentary Nothing Can Hurt Me. Bob Mehr’s liner notes tell of Bell’s spiritual, musical and geographical odysseys to record, overdub, mix and find a record deal. Alec Palao’s track notes further dissect Bell’s artistic restlessness by piecing together details of his intercontinental quest for perfection. 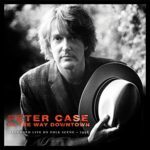 Peter Case has had a music career that few of his contemporaries can match. Breaking in with Jack Lee and Paul Collins as the Nerves, no one would have guessed it was the beginning of a musical road that’s now stretched more than forty years. Case’s second band, the Plimsouls, garnered a major label contract, tours and an appearance in Valley Girl, but this too ended up as prelude to a solo career launched by his eponymous 1986 album. Unlike the rock ‘n’ roll of his earlier bands, his solo work – both on record and in performance – put a greater focus on his songwriting, and it’s that songwriting that’s highlighted in these tracks taken from live radio performances in 1998 and 2000. Both performances are drawn from Case’s appearances on KPFK’s FolkScene. The earlier set highlights material from Case’s Full Service, No Waiting, while the latter set combines material from Flying Saucer Blues and earlier releases, and adds covers of Mississippi John Hurt and Charlie Poole. Both sets were engineered by FolkScene’s resident engineer, Peter Cutler, and sparkle with the show’s warmth and Case’s creativity. Case is joined by the Full Service album band for the 1998 set, and by violinist David Perales for the later tracks. At 40, Case was thinking deeply about the path from his childhood to his present. The title track is filled with the memories an ex-pat relishes in revisiting his hometown, while “See Through Eyes” laments the incursion of doubt that middle age brings. Case remembers his San Francisco years in “Green Blanket (Part 1)” and “Still Playin’,” and explores the roots of his rambling in the acoustic “Crooked Mile.” The first set closes with the adolescently hopeful “Until the Next Time,” while the second set opens in a more present frame of mind with “Something Happens.” Two years on, Case was still remembering notable moments from his past, but also looking forward. It’s been three years since Peter Himmelman rebuffed his own doubts with the introspective The Boat That Carries Us. The disillusion displayed in the 2007 documentary Rock God gave way to a more emotionally agile life that turned obstacles into opportunities for recalibration, and found happiness in the realities that his youthful dreams of fame had spawned. On this follow-up he focuses on dialectical questions of the mind and heart, looks outward at society’s barriers and wonders how one’s thoughts and emotions create and might ultimately contribute to the resolution of the world’s problems. The opening “245th Peace Song” condemns the toxic political and social atmosphere that currently dominates America, but Himmelman seeks healing in place of scapegoating; pleading for solutions rather than protesting problems. He laments fear’s corrosive impact on societal bonds and advocates collective action as an antidote. At turns Himmelman can be defeated, deterministic, nihilistic and existential, noting that rich men run the world, wondering if we can even know whether meaningful decisions exist, and pitying those who coast through life without the friction that creates opportunities for redemption. 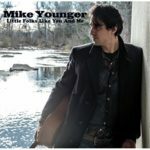 The hoarse edge on Mike Younger’s voice might remind you of a young Don Henley, and there’s an earthiness to his delivery that’s more middle-America than Los Angeles. 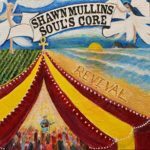 Originally from Nova Scotia, he wandered the world before setting down in Nashville where his rootsy honky-tonk and folk fit easily into the scene that lays beneath the city’s commercial sheen. His years as a busker taught him that gimmicks might stop a passerby, but it’s having something personal to say that will make them stay. That same lesson works well on record as he sings of both his own plights, and those of the audience to whom he’s played face to face. He identifies with a working class that seeks a moment to dream of something better for themselves, as well as those they will leave behind to inherit the planet. His protagonists nobly hold to their convictions, even as their principles become their last possession, and they remain optimistic that the good in people will win over society’s most selfish instincts. He rejects the short-sighted profits of “Poisoned Rivers” and reflects on the gained experience of shared hardship as he laments a mortal ending on “How To Tell a Friend Goodbye.” The latter song’s lack of emotional resolution will be familiar to anyone who’s felt they came up short in a final farewell. 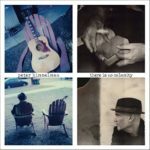 The Nashville-based Dualtone label has an enviable catalog, including albums by the Lumineers, Shovels & Rope, and perhaps most precious of all, Guy Clark. Clark arrived at Dualtone in 2006 as an oft-covered songwriter and a well-loved recording artist. His three studio albums for the label were each nominated for a Grammy, and 2013’s My Favorite Picture of You took home the trophy. Clark’s May 2016 passing turned these recordings into a capstone to a thirty-nine year career that made earlier stops at RCA, Warner Brothers, Asylum and Sugar Hill. 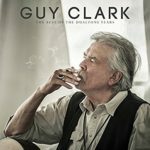 Dualtone’s 19-track collection cherrypicks Clark’s three studio albums and his 2011 live release Songs and Stories, and adds a trio of previously unreleased demos that were co-written with Hal Ketchum, Marty Stuart and Holly Gleason. 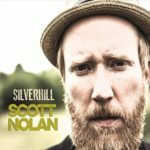 There are several shades of weariness in Scott Nolan’s latest album. He’s exhausted by a lifetime of emotional weight on his shoulders, both his own, and that which he’s assumed, and his soul seems worn by having to tell these stories. It’s a tone that effectively brings the listener into both the confidence of the story and of the singer. 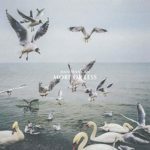 Nolan sings of emotional dead ends and the positive expectations that make them all the more depressing, drawing fragmented details that reveal a shared picture in the chorus. He opens the album with a canny observation of the dichotomy between temporality and immortality, surrendering to the inevitability of change while still seeking to guide its course. He may feint to fatalism, but there’s a current of hope animating his songs. It’s one thing for a songwriter to be fêted with a tribute album at the relatively young at of 42, but to be honored by a who’s who of one’s peers speaks louder than words. 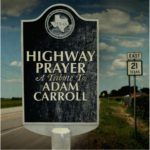 And with the likes of James McMurtry, Hayes Carll and Slaid Cleaves having satchels full of terrific original material, their willingness to saddle up a favorite from Adam Carroll’s catalog is both a tributary offering and an artistic opportunity. 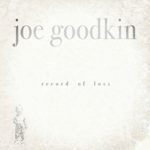 The largely acoustic productions of Jenni Finlay and Brian T. Atkinson rightly leave the limelight on lyrics whose emotional resonance is immediate, and whose meters are so natural that they barely sound composed. Each performer finds a natural fit to their chosen song, with the Band of Heathens’ digging a gospel groove for “Oklahoma Gypsy Shuffler” and Matt the Electrician adding anxious fingerpicking to “Old Town Rock ‘n’ Roll.” There’s two-stepping mandolin and steel as Noel McKay and Brennen Leigh sing the story of Bob, the “Karaoke Cowboy,” and Walt Wilkins explores a showman’s life in “Highway Prayer.” Carroll’s lyrics derive from fleeting moments, snapshots whose studied details conjure life stories. His narratives drop their baggage on the platform to chase expectation down the tracks, one step ahead of consequence.